Every student who attends prom needs a corsage or boutonnière, right? Every student who attends prom needs to pay dues, right? So why not use corsages and boutonnières to raise money for the class and reduce the cost of attending prom? 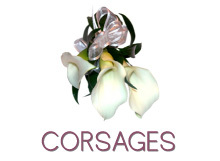 Our program enables your school to fundraise for prom through the sale of corsages and boutonnières. 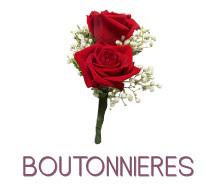 It’s simple: your student council pre-sells corsage/boutonnières orders; and we fulfill the orders, providing the corsages and boutonnières for those who pre-ordered. A portion of the proceeds goes to your student class as well as a charity of your choice. Join our program and raise money for your school and a charity! We meet with the student council and pertinent faculty members to further explain the program and strategize about possible ways to execute it. At this time we also determine a charitable cause to contribute to. Final orders are submitted to us at least 1 week prior to the day of the event. We deliver all orders one day prior to the event, which are then collected from your students by the purchasers (other students or parents) before the end of the day. Your school receives a check for 20% of the sales revenue generated. 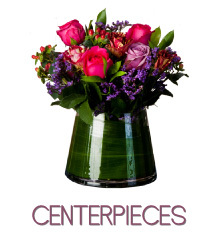 Fresh-cut, quality flowers that are not only beautiful, but meaningful! Best of all, there is no spoilage risk involved. Everybody wins! Thinking about using flowers to decorate your prom or semi-formal event? Look no further. We specialize in creating beautiful yet affordable centerpieces and various other types of floral decor for those working with budgetary constraints. We can accommodate any request, and boast a 100% price match guarantee.